Give your family the gift of adventure, challenge your friends to beat your time or take joy in sending your siblings on a quest. We have three different gift voucher options. Buy now and they can redeem it when convenient for them. 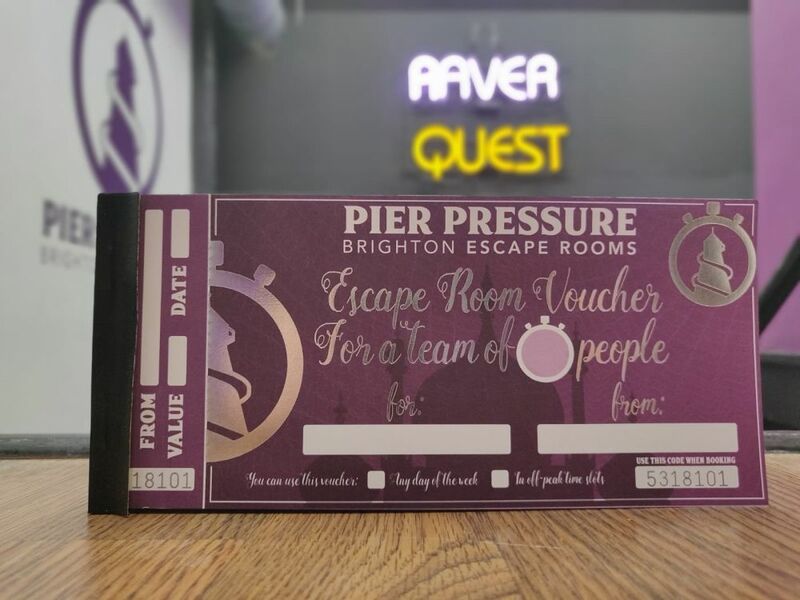 Unlike other places we do not put expiry dates on our gift vouchers – if money doesn’t expire then neither should vouchers! 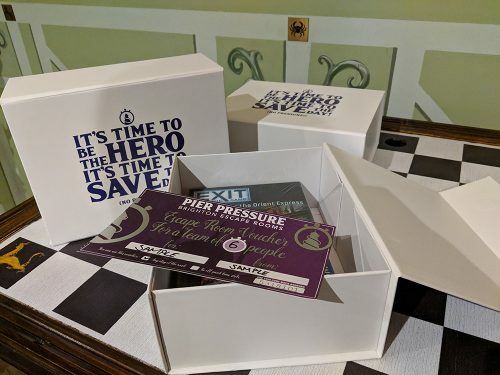 These include a play-at-home escape-room-in-a-box board game along with a beautiful gift voucher and come packaged in a stunning custom gift box. Price is £18 + the cost of the voucher (including postage and packaging). These sublime gift vouchers come with gorgeous silver foil blocking and are customised to who you want to give to. Price is £2 + the cost of the voucher to cover postage and packaging. With this option you don’t get anything in the post but you get sent a code that you can pass on to whoever you are gifting it to. To purchase any of these, simply go to our ‘Check Availability’ page and select ‘Gift Voucher’ from the menu options.